• Full-time student at a local university. • Entering Junior or Senior year or completing Senior year. • Enrolled in Civil, Mechanical, Electrical or Industrial Engineering. • Possess a cumulative GPA of 2.5. • Complete an Internship Application and write a summary (one page maximum) on why he/she wants an internship at Fibrebond. • Submit the application, resume and summary to stephanie.jordan@fibrebond.com no later than May 3, 2019. 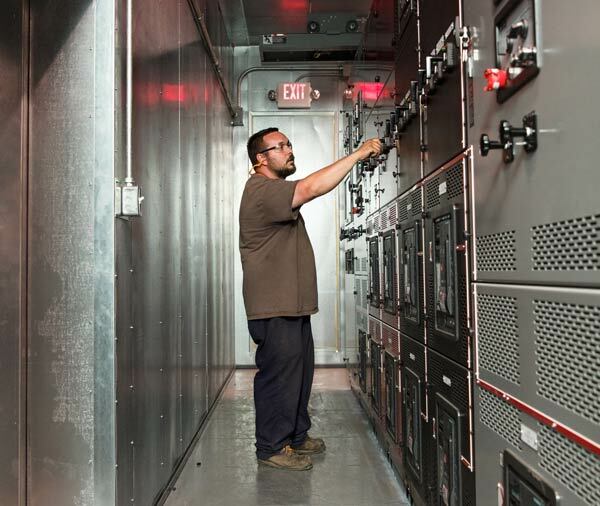 Responsible for the design of custom enclosures for generator sets (gensets) and/or switchgear motor controls,power control equipment for use in the mission critical power generation, and oil and gas, energy/utility sectors.Determines solutions for plant errors and problems that arise in production. The design includes of the mechanical and electrical systems, fire suppression, distribution, alarm wiring, environmental control, mechanical layout and structural design. The Design Engineer will assist customers or contractors in the field with questions about our buildings. Assists in the installation of conduit and electrical components into buildings. Requires basic math skills, ability to read blueprints, mechanical aptitude, and basic problem-solving ability. Performs multiple routine or semi-complex tasks with limited exercise of judgment. Performs duties under close supervision. Assists more advanced employees in mid-level work for development and training. Performs duties under moderate supervision. Performs multiple routine or semi-complex tasks with limited exercise of judgment. Assists more advanced employees in the performance of high-level work for development and training. Work is closely monitored and reviewed for accuracy. Responsible for ensuring that all materials of buildings are painted. This includes some prepping and sanding. Responsible for the installation and wiring of equipment into power shelters. Also responsible for testing to ensure that equipment is working properly. Assists more advanced employees in the performance of high-level work for development and training. Performs work under moderate supervision. Performs multiple routine or semi-complex tasks with limited exercise of judgment. Work is closely monitored and reviewed for accuracy. Responsible for maintaining and repairing mechanical equipment and machinery. Responsible for testing generators. Requires basic math skills, electrical, mechanical aptitude, ability to read blueprints, and high level of problem-solving ability. Performs multiple routine or semi-complex tasks and troubleshoots more complex tasks with independent exercise of judgment. Performs duties with little to no supervision. Assists the director in development and training of employees in the conduit, electrical and generator testing operation. Responsible for maintaining, replacing, or repairing electrical equipment throughout the plant. Extensive knowledge of electrical operations required. Assists in the assembly of generator enclosures with the use of hand and power tools. Entry level position. Requires basic math skills, ability to read blueprints, mechanical aptitude, and basic problem-solving ability. Performs multiple routine or semi-complex tasks with limited exercise of judgment. Performs duties under close supervision. Assists more advanced employees in mid-level work for development and training. Responsible for welding steel structures, telecommunications shelters, skids, and any other product line, and for plant operations.